Mr. Limbacher is a partner at Goodell DeVries and heads the firm’s Philadelphia office. Mr. Limbacher joined Goodell DeVries from Dechert, LLP, where he was a partner and former chair of their mass torts and product liability group. Mr. Limbacher focuses his practice on defending clients in sophisticated product liability and complex commercial litigation claims against individual and class action lawsuits nationwide. In addition, he has tried cases in various jurisdictions around the country. Mr. Limbacher has extensive pharmaceutical MDL experience, including serving as national counsel for GSK in the Baycol MDL, Baxter in the blood products MDL, and Pfizer dba Capsugel in the Hydroxycut MDL. Since 2006, Mr. Limbacher has been consistently recognized as among the top product liability attorneys in the country by Chambers USA, a referral guide to leading attorneys in the United States based on the opinions of peers and clients. Chambers has noted he is "a fantastic trial lawyer with great presence and ability." 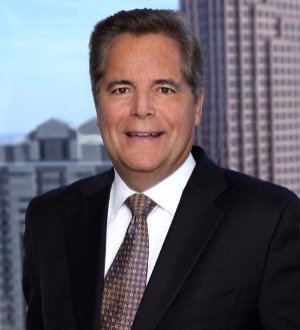 He has also been recognized for several years in The Best Lawyers in America, LMG Life Sciences, and Who’s Who Legal Product Liability Defense. Mr. Limbacher's trial victories have been highlighted in national publications, including The National Law Journal and The Wall Street Journal. Since joining Goodell DeVries, Mr. Limbacher has been representing Takeda and Eli Lilly in MDL and state court litigation involving a diabetes medication, including defending numerous high ranking sales and marketing witnesses in their MDL depositions. In addition, he recently tried a case in state court on behalf of Takeda. Mr. Limbacher also serves as national strategic and settlement counsel for Boehringer Ingelheim in litigation involving a prescription blood-thinning medication that reduces the risk of stroke and blood clots in people with atrial fibrillation. In that role Mr. Limbacher recently negotiated the global resolution of a major mass tort involving both MDL and state court litigation. Mr. Limbacher has also served as lead counsel for a defendant in the Hydroxycut MDL litigation, represented TASER International, Inc. and Intuitive Surgical, Inc. in personal injury litigation, and is representing a client in the acetaminophen litigation. He has also represented Pfizer Inc in litigation involving Effexor and diet drugs. While at Dechert, Mr. Limbacher spearheaded the defense of Amgen in connection with litigation and investigations arising out of its prescription medications used to treat anemia. He also represented Amgen in response to several consumer fraud class actions, securities litigation, government investigations, Congressional inquiries, and an SEC investigation. More recently, Mr. Limbacher was involved in the defense of Pfizer Inc in the hormone therapy litigation. Also, he conducted two major litigation risk assessments involving a highly successful prescription medication already on the market, and a promising drug in development prior to launch. Additionally, Mr. Limbacher served as trial counsel for Wyeth in various fen-phen cases pending in state court in Philadelphia. He was lead trial counsel for Wyeth in several different trials, and obtained defense verdicts against eight of nine plaintiffs. Mr. Limbacher was also a lead counsel for GSK, defending the company against more than 10,000 individual personal injury lawsuits and class actions concerning Baycol, a cholesterol-lowering drug, in federal and state courts nationwide. He was asked to serve as trial counsel for GSK in the first Baycol case to go to trial. Mr. Limbacher also served as national counsel for Baxter Healthcare Corporation in the AIDS/hemophilia litigation for several years, and successfully tried cases for Baxter around the country and achieved defense verdicts involving multiple plaintiffs. Mr. Limbacher has served as lead trial counsel in numerous cases in courts in Pennsylvania, Texas, Louisiana, Arizona, and California, among others. Earlier in his career, Mr. Limbacher was actively involved in the defense of Philip Morris in smoking and health cases.